Headquartered in Newark, New Jersey, Handy Store Fixtures provides custom store fixtures and store layout solutions to independent retailers across the nation. 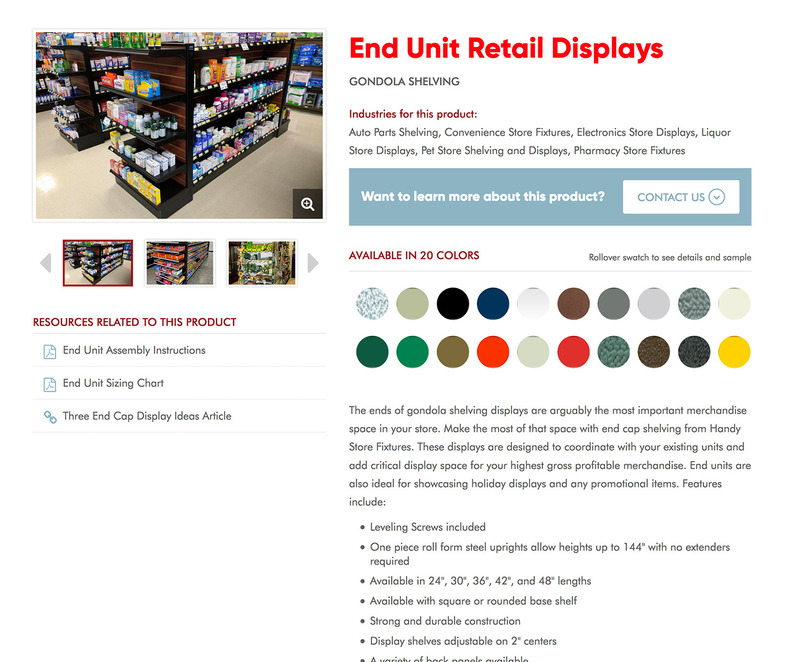 Handy Store Fixtures had an outdated website in need of a modern makeover. The company recognized the necessity of a new website and subsequently looked to Hudson for an updated website design and intuitive user experience. 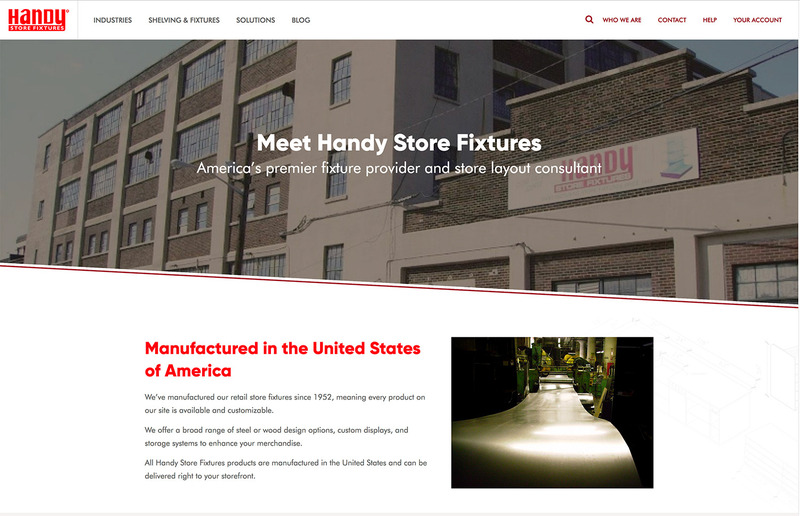 After several discussions with our client and exhaustive competitive research, Hudson designed and developed a brand new website that reflects Handy Store Fixtures’ value as a partner to independent retailers. Hudson’s branding and design team created an updated brand style guide that presented a modern twist on an already-established brand. Handy’s previous website’s branding was primarily blue with some minor red accents, and upon researching the company’s top competitors, we found that blue appeared to be the industry’s go-to color. To combat the sameness which appeared to have overtaken the shelving industry, we took the red accent color and made it the company’s signature brand color, adding a darker red color as the new accent. In a sea of blue competitors, Handy Store’s bright red branding absolutely stands out, which was exactly the goal. Additionally, in line with the new, powerful red color, we updated the brand’s fonts to reflect a similar feeling of industry authority. 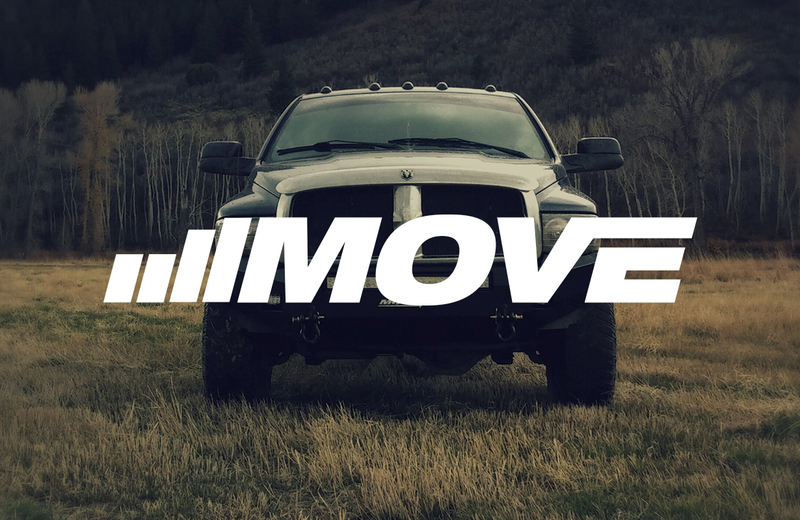 In line with the brand refresh, we wanted to modernize the company’s logo without losing its history. It is completely recognizable as Handy Store Fixtures, but with a contemporary edge. Lastly, we came up with a tagline that encapsulates everything Handy Store offers customers, to use on press, marketing, and digital materials: “America’s premier store fixture provider and store layout consultant.” To support with this statement, we came up with three brand pillars based on the company’s strengths: “Reliable. Experienced. Flexible.” Each of these pillars are explained in more depth on the website’s “Who We Are” section, and can be used on sales collateral accordingly. 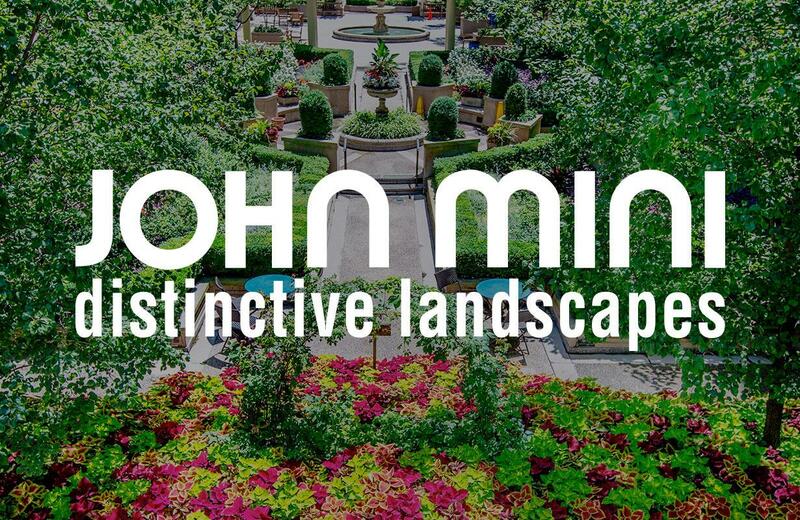 One major change to the website is new and improved landing pages. 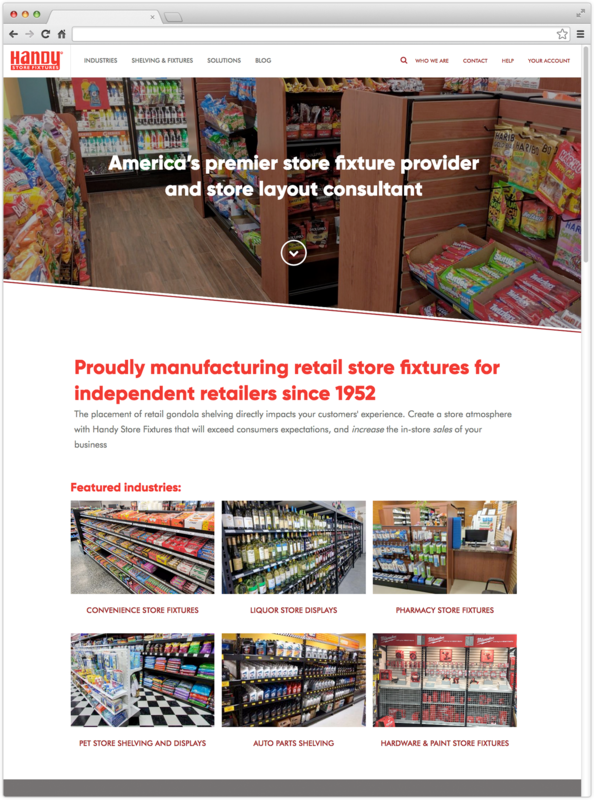 Each retail industry has its own landing page, including everything from store fixture solutions, to industry-specific sample floor layouts, and links to relevant product details. 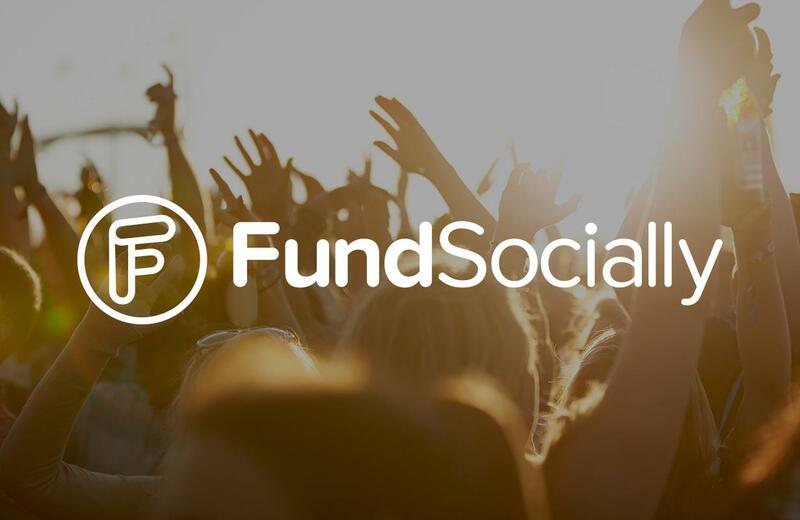 These landing pages are extremely industry-specific and have strategically placed CTAs, making them ideal for getting conversions from targeted PPC campaigns. Additionally, to ensure maximum visibility, all content was well researched and written with usability, accessibility, keyword density in mind – thus making SEO a top priority. From title tags, to metadata and internal linking strategy, the website was built following all SEO best practices to ensure compliance with Google to increase organic web traffic. 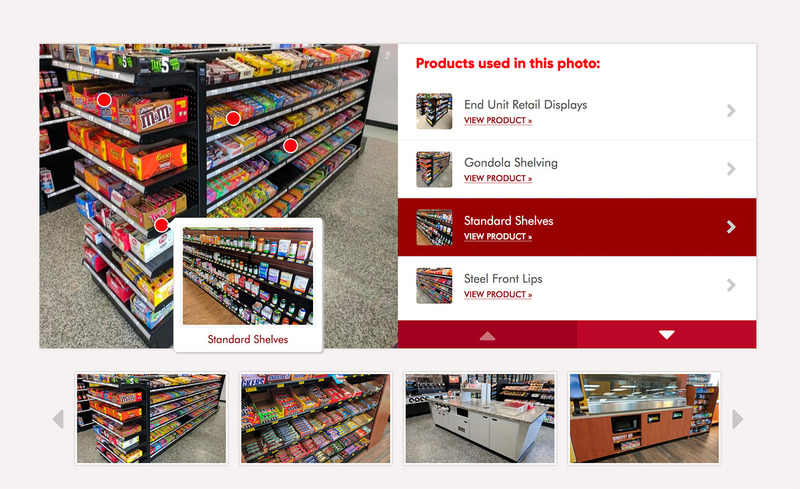 Overall, Handy Store Fixtures’ website overhaul sets the company apart from competitors both aesthetically and strategically, while allowing users to browse the largest selection of store displays, shelving and fixtures on an easy-to-navigate and visually-pleasing platform.